Introduction: What is OptoSensor and why would you use it. Installation: Step by Step Instructions for setting up OptoSensor and uploading the latest firmware. Follow instructions for setting up and configuring the Arduino IDE on your appropriate platform here with the Arduino Mega1280. Download the latest firmware revision from the Repository. Point the Arduino IDE to Open OptoSensor Source that you downloaded in Step 2 from the Repository. Upload it to the board. 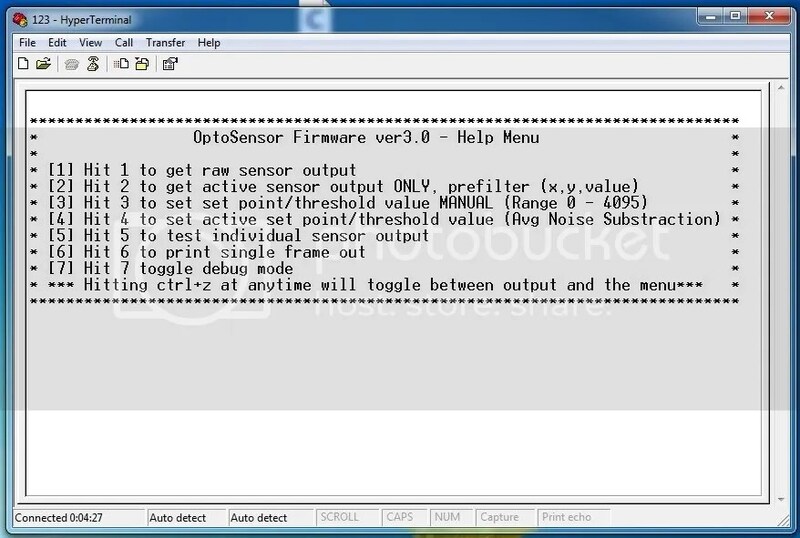 From the firmware menu you can set the desired output of the sensor data that you wish to use with your application.